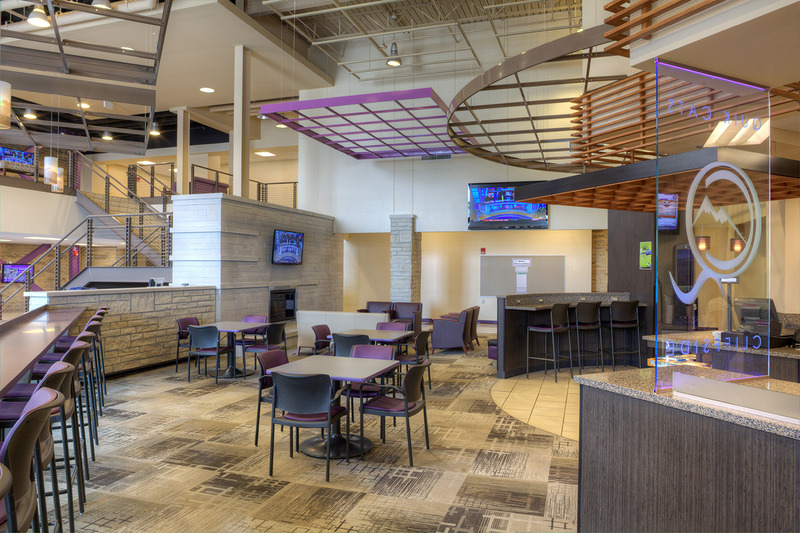 HTK worked with K-State’s Housing, Dining and Recreational Services departments to generate the design and layout of the QuickCats. 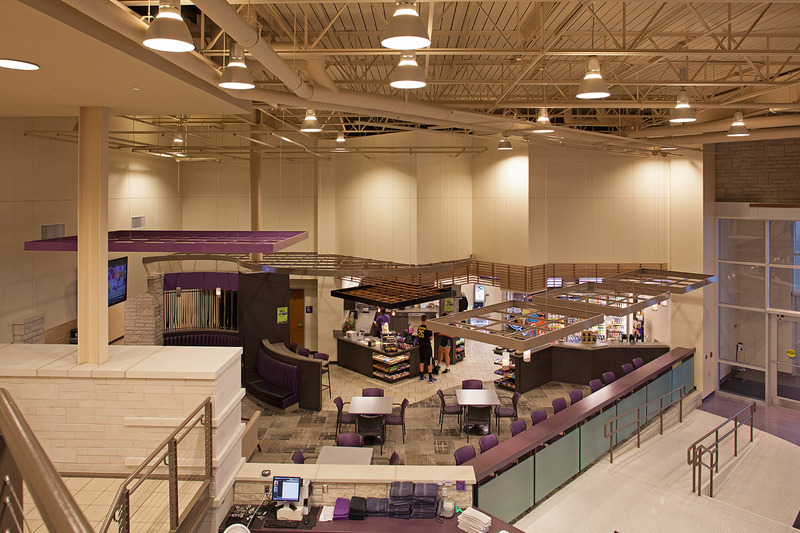 One of the challenges of the project was addressing how to incorporate the current and future food prep equipment required while still allowing for adequate display space. Working through several layouts while maximizing all possible spaces allowed for full utilization of the tenant area. 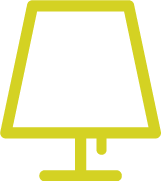 In addition to interior and architectural design services, HTK also coordinated with the University’s furniture vendor to further harmonize the design of the space. 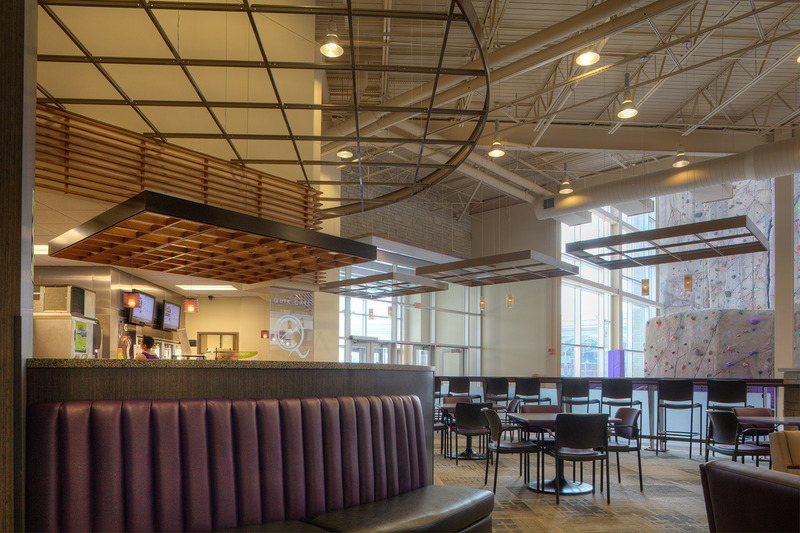 QuickCats Cliffside is the newest QuickCats location for Kansas State University’s Housing and Dining. 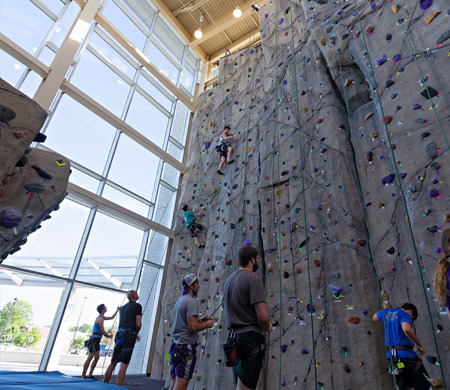 Operating within K-State’s Peters Recreation Complex, it provides recreation patrons with healthy snack and beverage options. QuickCats also offers patrons an open lounge area where they can relax while watching TV. 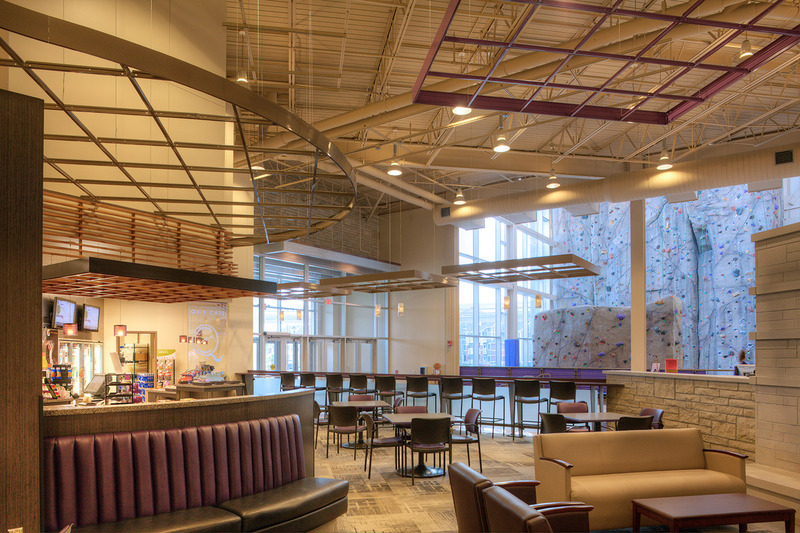 In response to the surrounding recreation facility, the design incorporates the campus’ ubiquitous limestone and purple while bringing in playful and colorful touches. 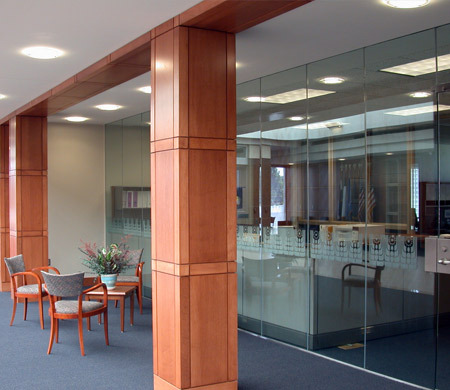 Durable and sustainable finishes allow the space to be highly functional and efficient. 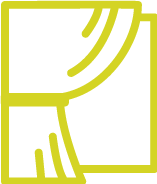 The mix of materials and textures helps the space to have its own identity apart from the larger Recreation space.